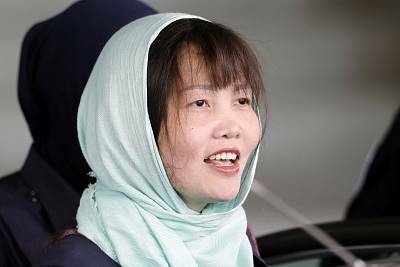 SHAH ALAM, Malaysia — A Vietnamese woman who is the only suspect in custody for the killing of the North Korean leader's half brother pleaded guilty to a lesser charge in a Malaysian court on Monday, with her lawyer saying she could be freed as early as next month. 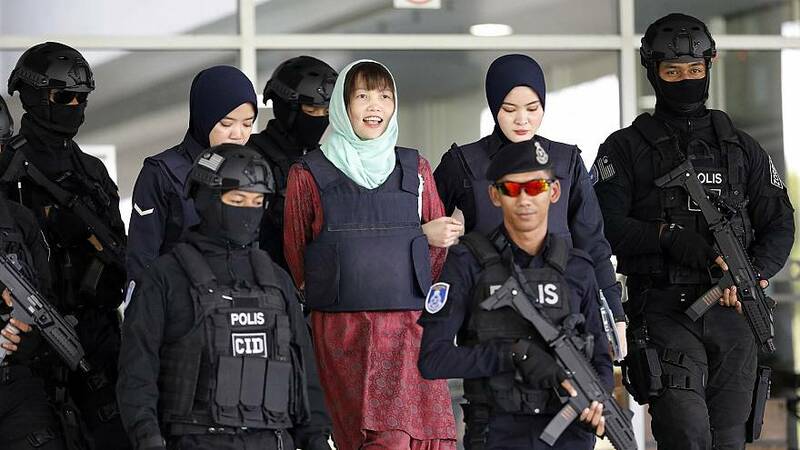 Doan Thi Huong had faced a murder charge, which carried the death penalty if she was convicted, in the slaying of Kim Jong Nam, who died after being accosted by two women in a Kuala Lumpur airport terminal. Huong nodded as a translator read the new charge to her: voluntarily causing injury with adangerous weapon, VX nerve agent. High Court judge Azmi Ariffin sentenced Huong to three years and four months from the day she was arrested on Feb. 15, 2017. Huong's lawyer Hisyam Teh Poh Teik said his client is expected to be freed by the first week of May, after a one-third reduction in her sentence for good behavior. "I am happy," Huong, 30, told reporters as she left the courtroom, adding she thought it was a fair outcome. While handing out a jail term short of the maximum 10 years the new charge carried, the judge told Huong she was "very, very lucky" and he wished her "all the best." Vietnamese officials in the courtroom cheered when the decision was announced. Huong is the only suspect in custody after the Malaysian attorney general's stunning decision to drop the murder case against Indonesian Siti Aisyahon March 11 following high-level lobbying from Jakarta. Huong sought to be acquitted after Aisyah was freed, but prosecutors rejected her request. 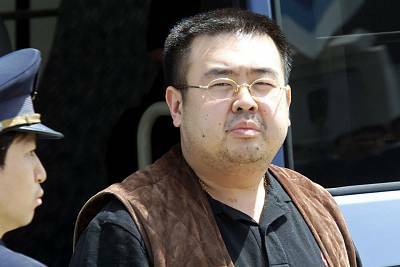 The High Court judge last August had found there was enough evidence to infer that Aisyah, Huong and the four North Koreans engaged in a "well-planned conspiracy" to kill Kim and had called on the two women to present their defense. Hisyam had urged the judge to take into account Huong's honesty, her acceptance of responsibility and the acquittal of her co-defendant. Huong, the youngest of five children, has a promising future with a degree in accountancy but she is also "naive and gullible," he said. Hisyam said four North Korean suspects still at large were the "real assassins." The judge said he had taken into account the gravity of the offence and also the fact that Huong was remorseful and a first offender. He said the sentence "would serve the interest of justice."